The generic name “Pol” for a parrot can be traced back to England since at least the early 1600s. In his 1606 comedy Volpone, Renaissance playwright—and close friend of William Shakespeare—Ben Jonson assigned many of the characters animal personas which reflected their true nature. The cunning title character, for example, is a fox, while his parasitic manservant is a fly. It is unclear whether Jonson actually coined the term “Pol” as a catch-all moniker for parrots, or if he simply popularized it. 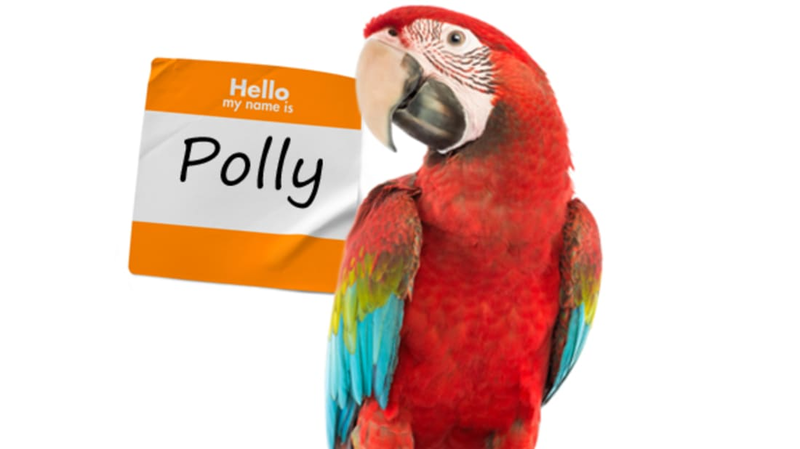 In any case, indulgent British pet owners eventually turned “Pol” into the much cutesier diminutive “Polly,” and both names made their way across the Atlantic. In fact, U.S. President Andrew Jackson had an African Grey parrot named Pol who was famous for spouting obscenities at visiting dignitaries.